Includes a road worker minifigure. 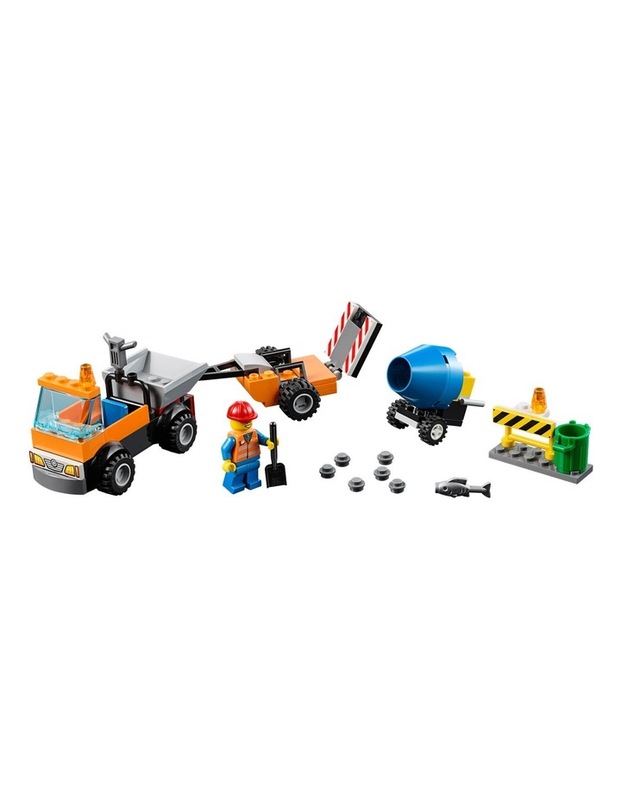 Features a Road Repair Truck with minifigure cab, open back for tools, plus a detachable trailer with ramp and cement mixer. Drop the ramp on the trailer to unload the cement mixer. Spin the barrel of the mixer to make the `cement', then spread it in a pothole with the shovel. Accessory elements include a jackhammer, shovel, trashcan, barrier and 6 cement elements. This toy for boys and girls is an age-appropriate build and play experience for ages 4-7. Includes Easy to Build models with bigger starter pieces and Quick-Start bases, plus a simple guide to get children building and playing quickly. 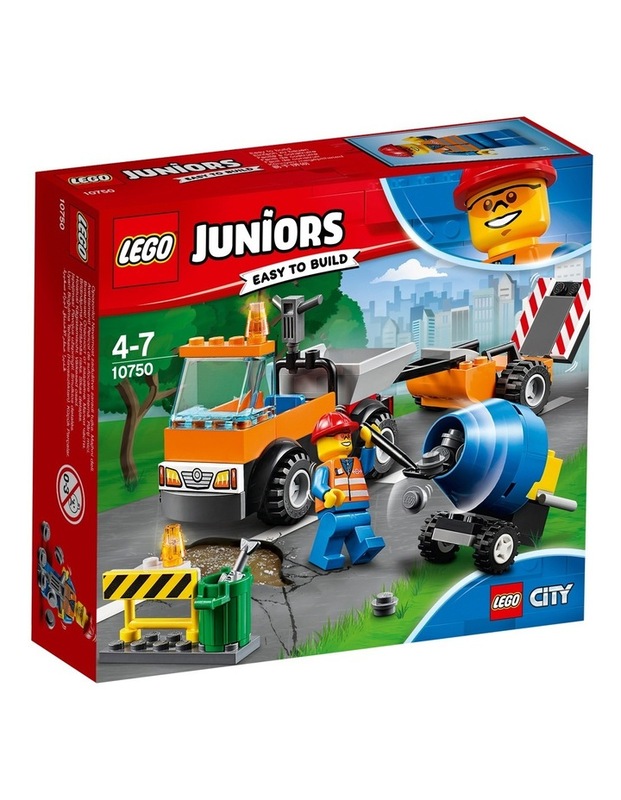 All LEGO Juniors sets are fully compatible with all other LEGO sets. Truck with trailer measures over 2 (6cm) high, 7 (18cm) long and 1 (5cm) wide. 73 Pieces.